Thinking about renovating or remodeling your kitchen? Not sure where or how to begin? Browse our Kitchen Remodeling Gallery below for ideas and inspiration. Then call 973-635-7900 to schedule a consultation. A Project Manager will come to your home, discuss your project and take measurements. Then you’ll come into our showroom and meet with a Kitchen Designer. All meetings are free and you are under no obligation. 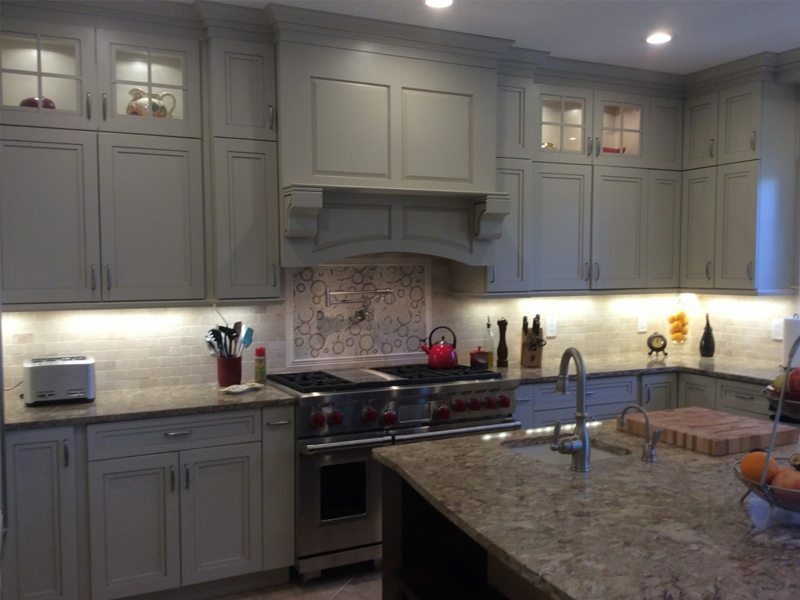 Monk’s Home Improvements will turn your dream kitchen into reality! 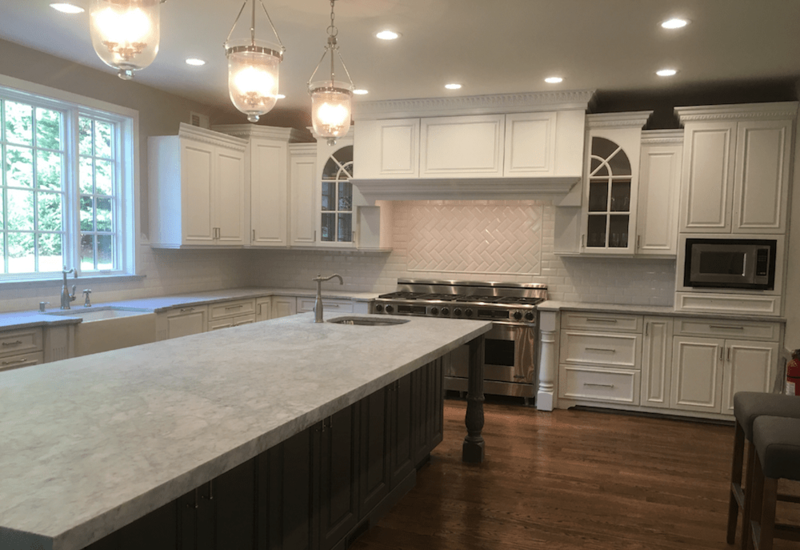 After moving to New Jersey, these homeowners wanted to get a new kitchen that would better meet their needs. Monk's designed and installed their new room. 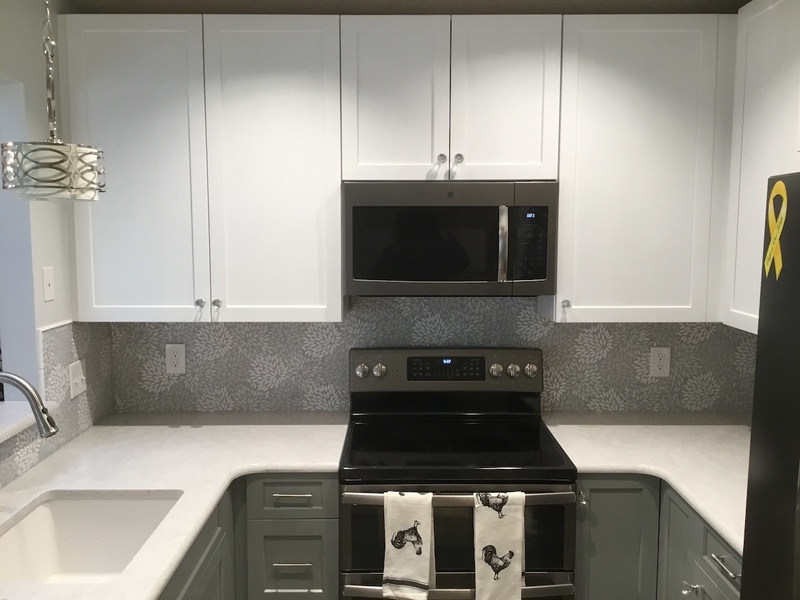 We painted the oak cabinetry, added a backsplash, and swapped out the hardware as part of this builder's kitchen upgrade. See the before and after. 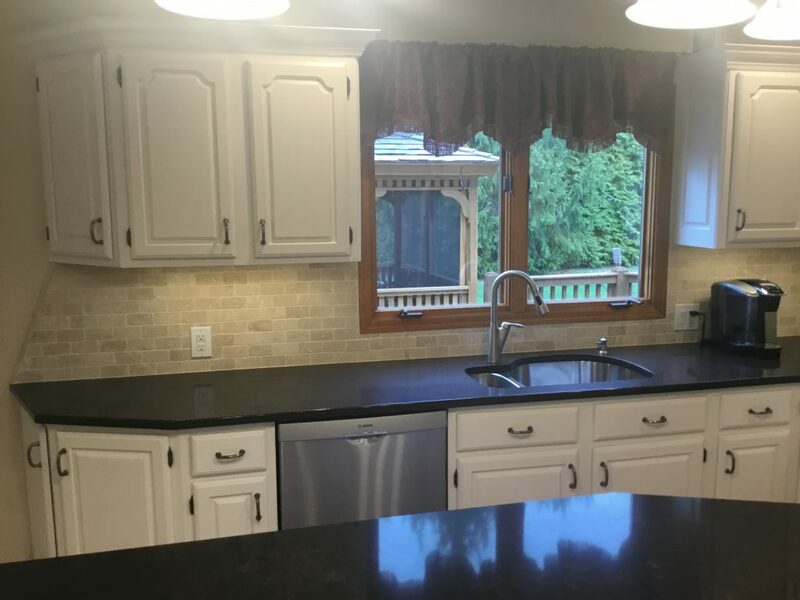 We swapped out the laminate worktops with quartz for this countertop replacement project. Now the women's shelter has pretty and maintenance-free countertops. 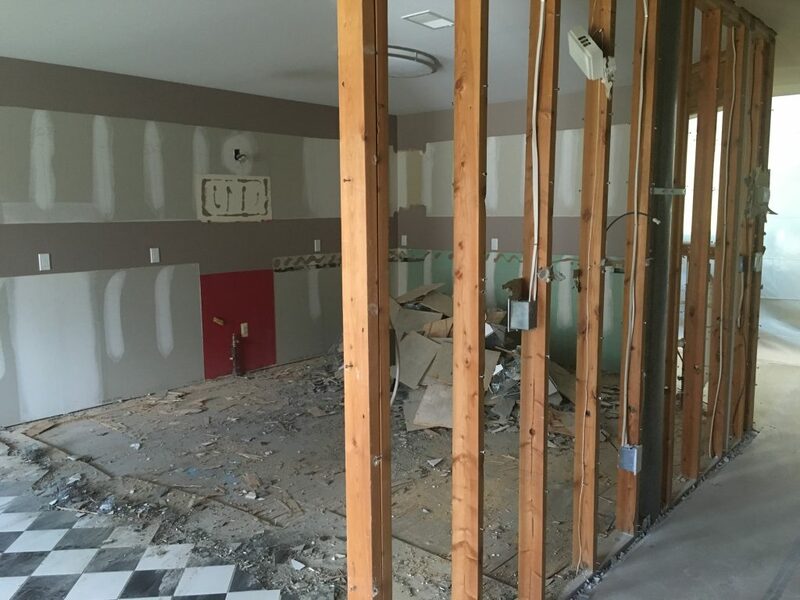 We removed a wall between the kitchen and dining room, opening up the area. Then we converted this country kitchen to a sleeker, updated space. 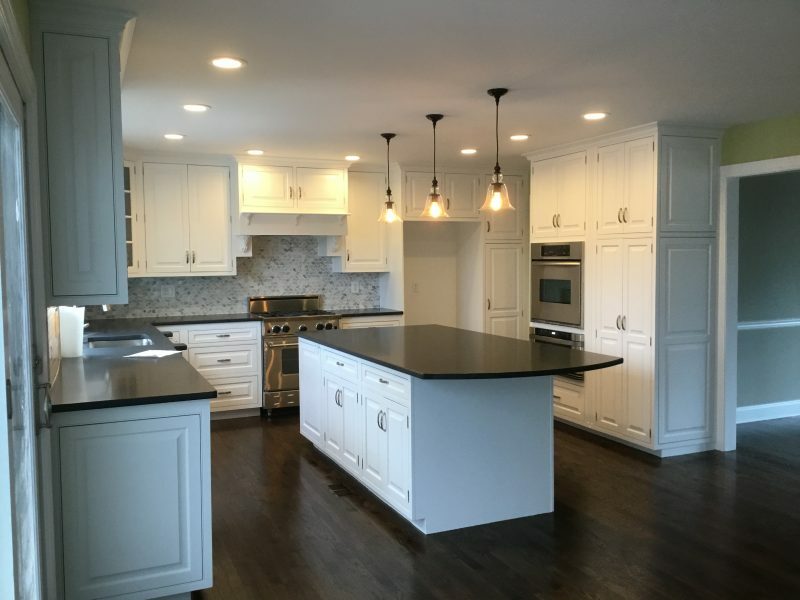 The Kitchen Island, Wall Cabinetry, Countertops and Tile Backsplash Were All Refreshed by Monk's. See this Gorgeous Kitchen Makeover! This Denville, NJ kitchen was straight out of the 70's with its yellow Formica countertops and matching backsplash. 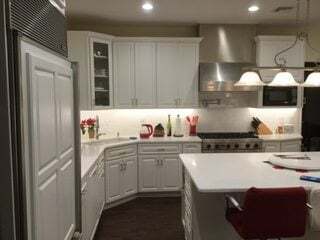 We replaced the dark oak cabinetry, the linoleum floor, and the Formica and brought this kitchen into 2018. See the difference! 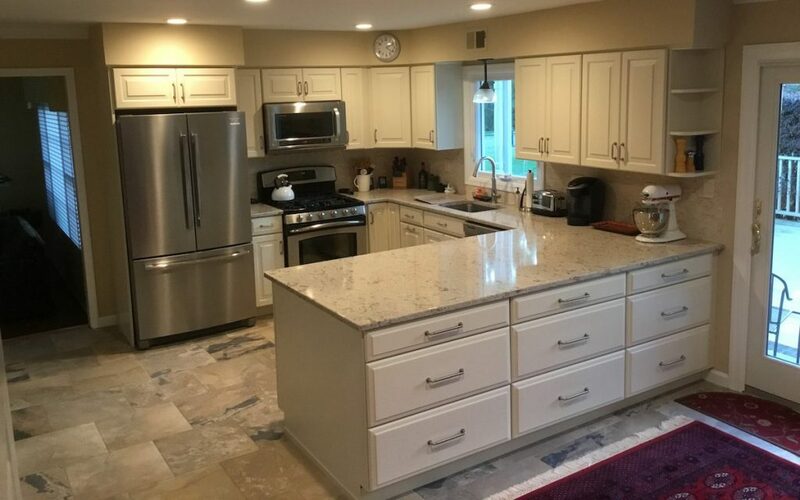 We painted these espresso kitchen cabinets white, added a pantry and changed out the backsplash as part of this kitchen makeover project in Morristown, NJ. In just about a week this project was complete. See the before and afters! 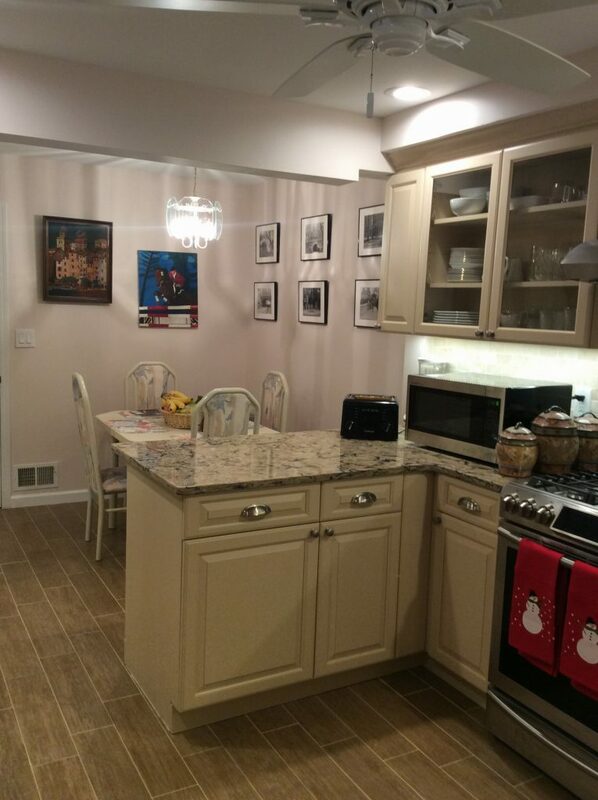 This kitchen makeover in Montclair NJ transformed the kitchen in this rental unit. 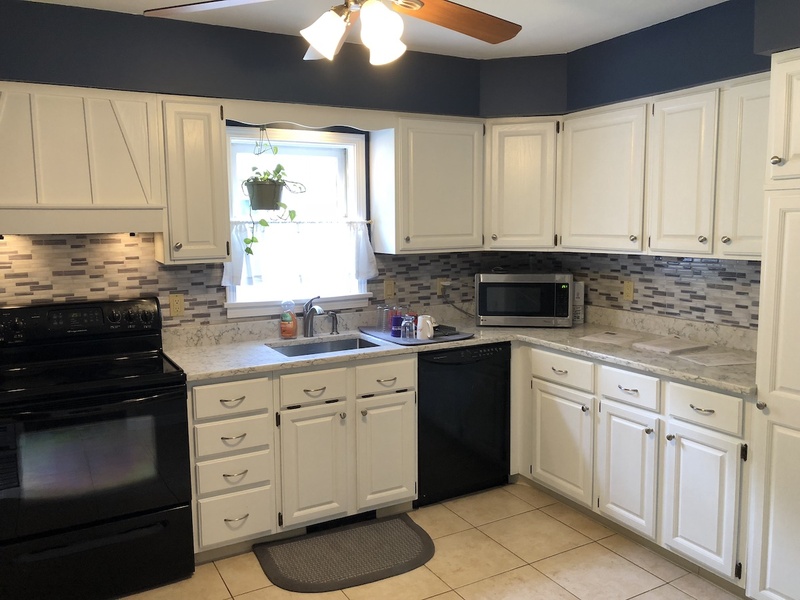 We painted the cabinetry and replaced the countertop and backsplash. 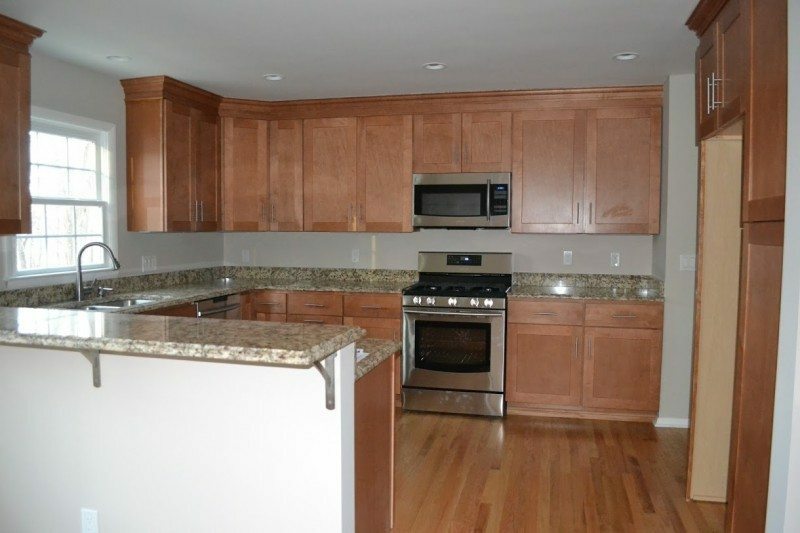 In just a week and a half, this kitchen looked totally new and would be sure to attract a renter. This U-Shaped Kitchen Remodel Features An Expanded Peninsula and Double-Sided Cabinetry. See This Kitchen Transformation for Ideas For Your U-Shaped Kitchen. 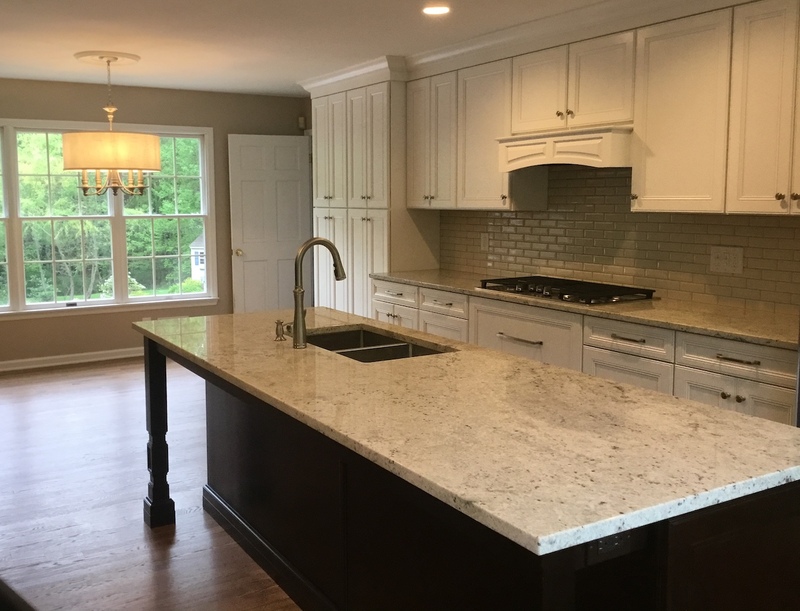 This Kitchen Renovation in Morristown Delivered a Totally Updated Kitchen In Order To Help Sell the Home. See The Dramatic Transformation! 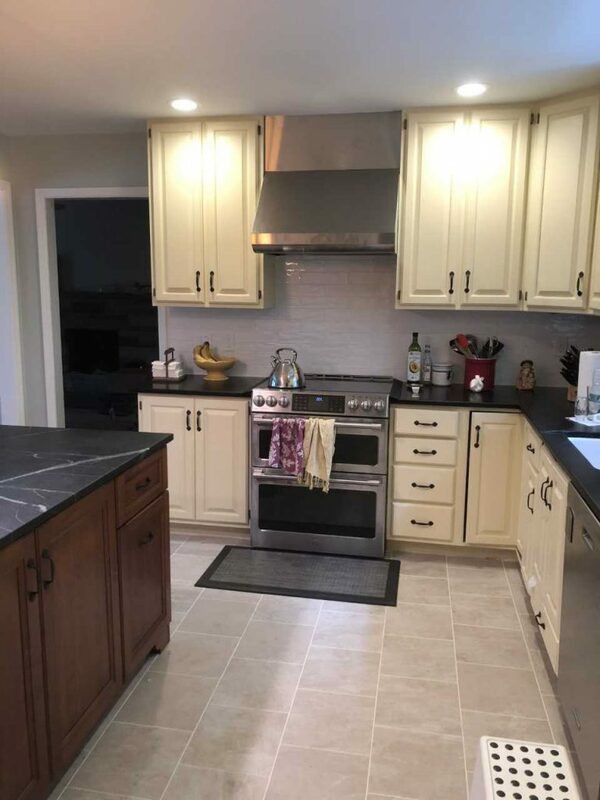 This Morristown NJ Kitchen Remodel by Monk's Gave This Galley Kitchen a Revamped Modern Look. See the Beautiful Results Here. 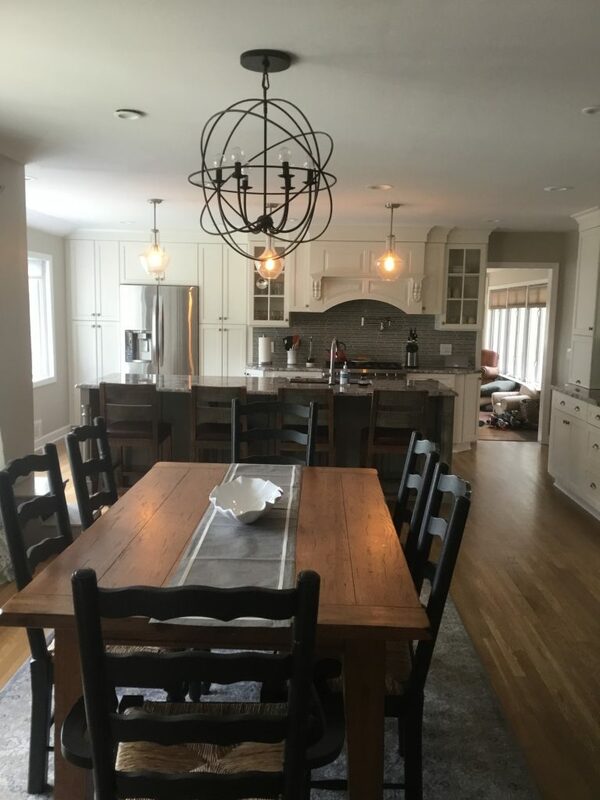 This Denville NJ Kitchen Makeover Went From Country Oak to Sophisticated and Updated. 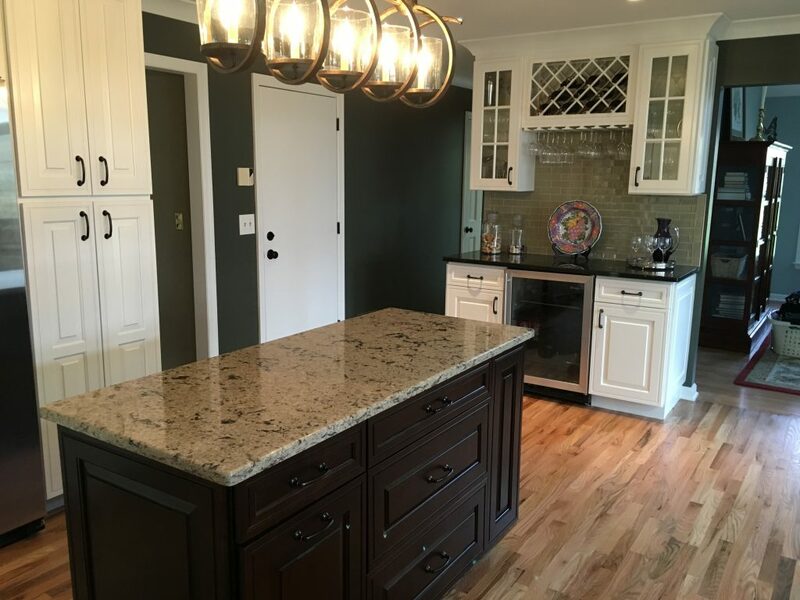 Painted Cabinetry, New Countertops, New Island & Wet Bar. See It Here. 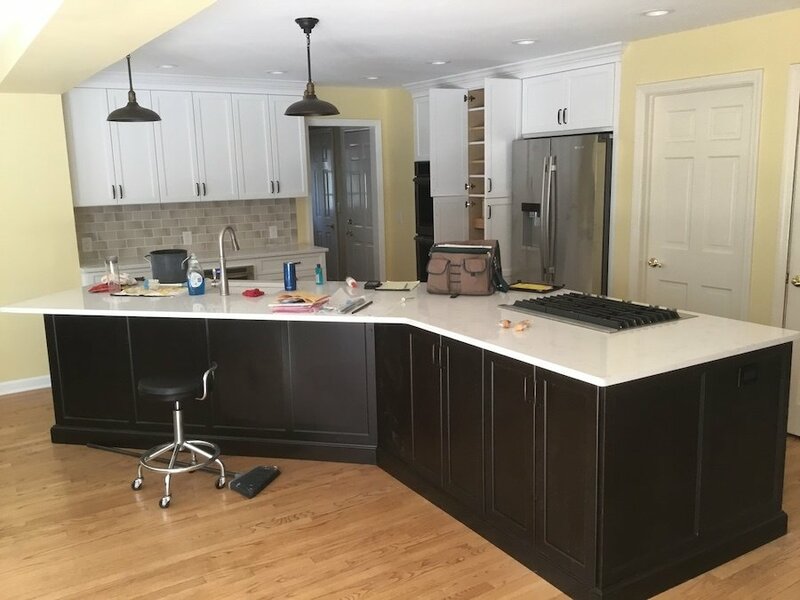 This Randolph NJ Kitchen Remodel Enlarged a Standard U-Shaped Kitchen By Removing a Partial Wall and Reconfiguring the Space. See the Results. 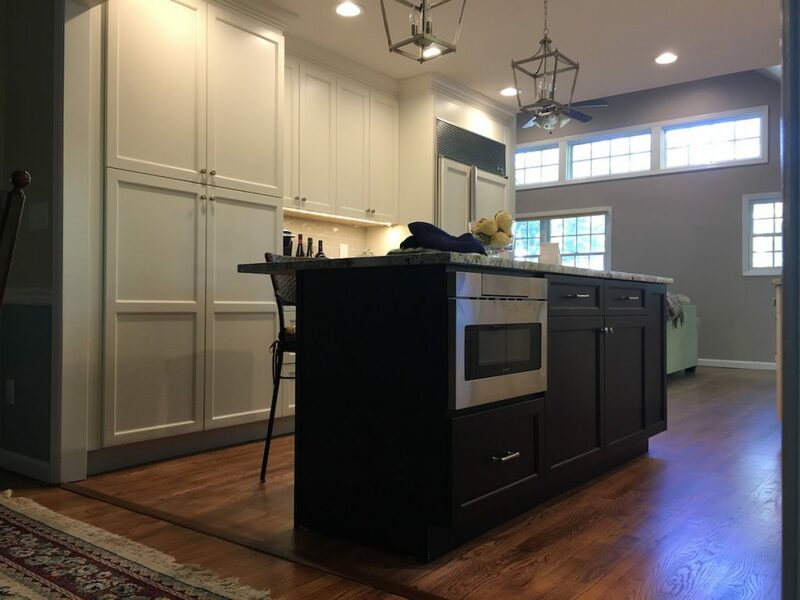 This Bernardsville NJ Kitchen Remodel Upgraded the Cabinetry, Countertops, and Tile and Fixtures To Create a Beautifully & Uniquely Shaped Kitchen. Creating an Open Plan Kitchen and Dining Area Was Possible By Removing a Load-Bearing Wall and Getting Creative with an Inconveniently Placed Chimney. See the Results. 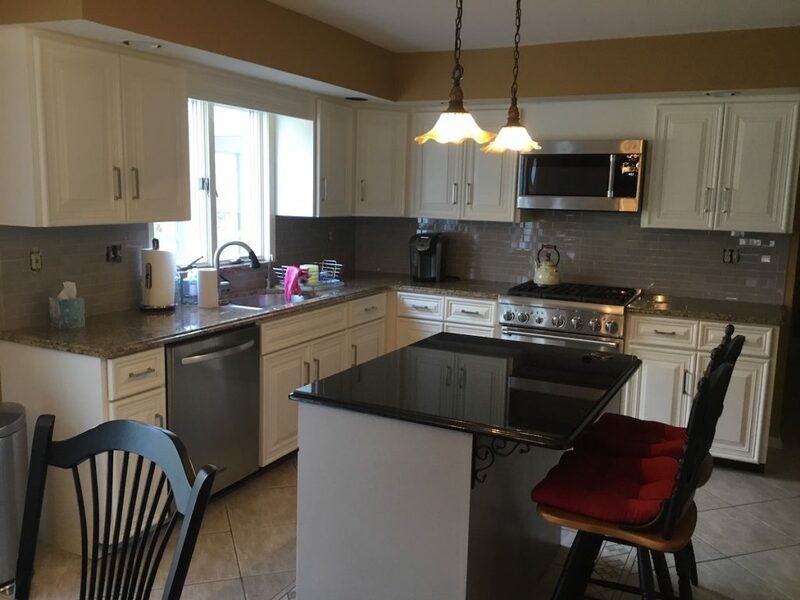 Painting Kitchen Cabinets White Is A Fast Way To Transform Your Kitchen Without The Cost of New Cabinetry. 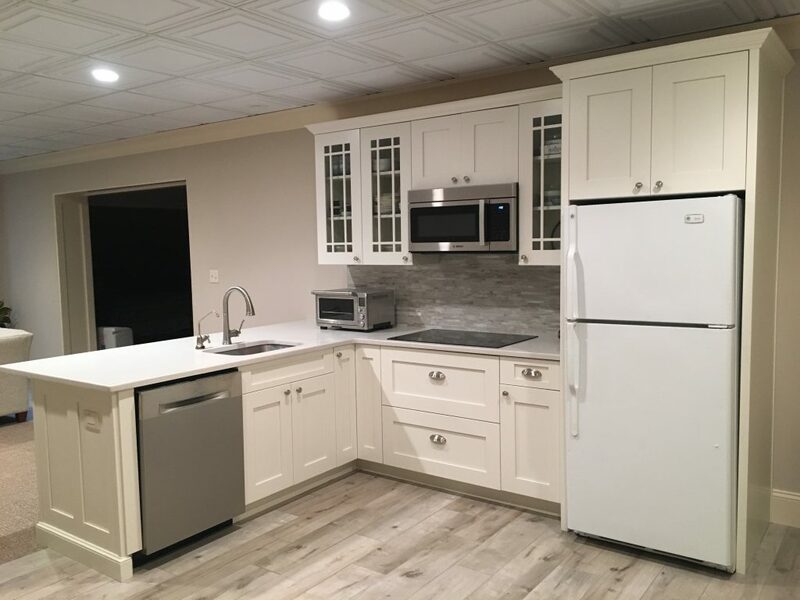 See The Amazing Change to This NJ Kitchen! 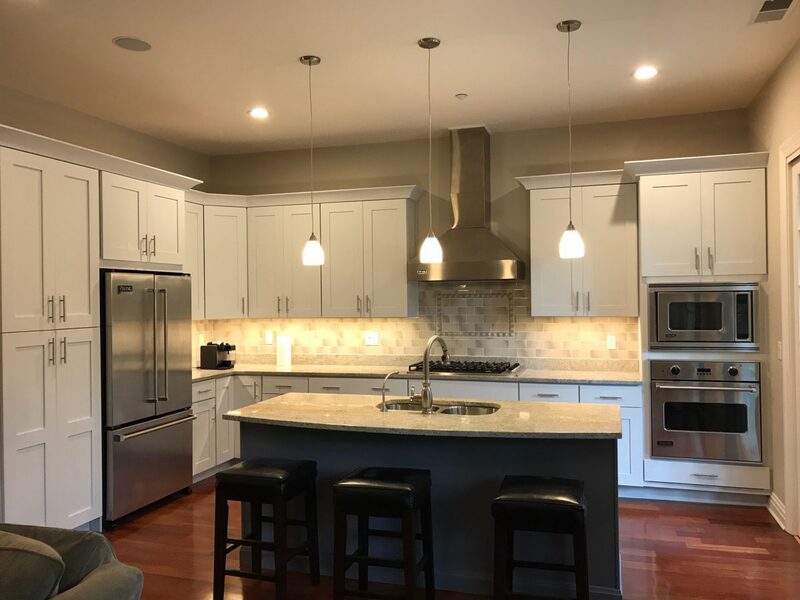 Based on Average Costs, We'll Help You Decide What You'll Need to Budget for a Kitchen Remodel, Where the Budget Will Go, and How to Finance It. 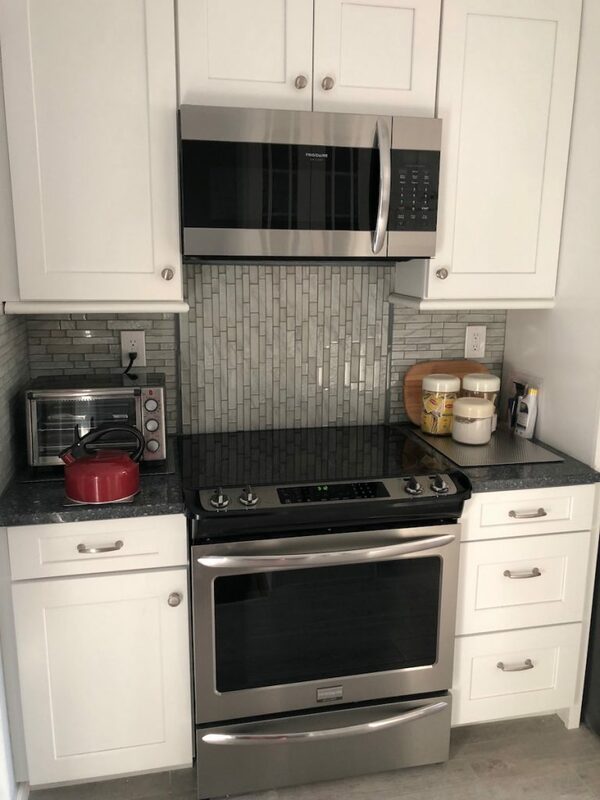 This kitchen was updated by swapping out linoleum floors for faux wood tiles, laminate countertops for quartz, and a new glass tile backsplash. 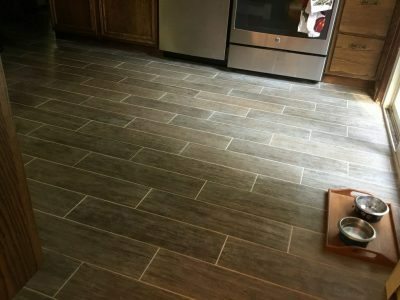 Kitchen Remodel Montville- Our team remade this kitchen from traditional, to a modern space complete with bamboo cabinets and a porcelain tile floor. 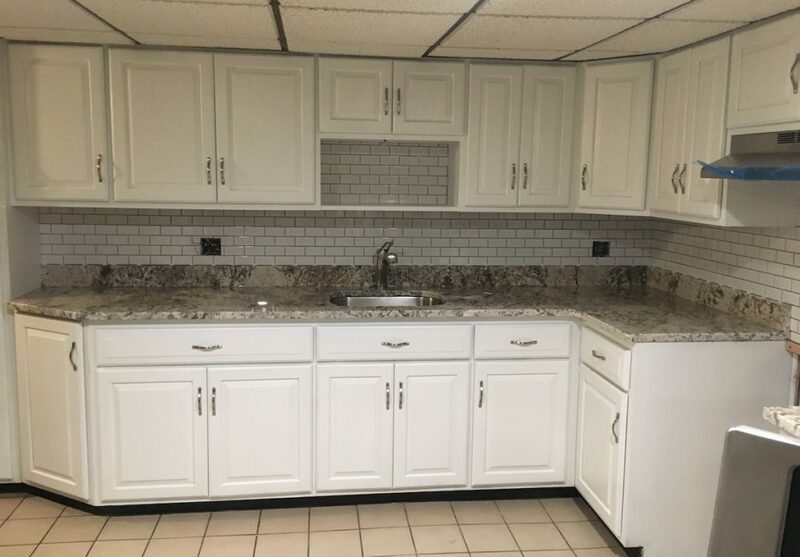 Basement Kitchen Installation Florham Park- Monk's installed a full kitchen in this basement to transform the lowest level into a self-contained apartment. 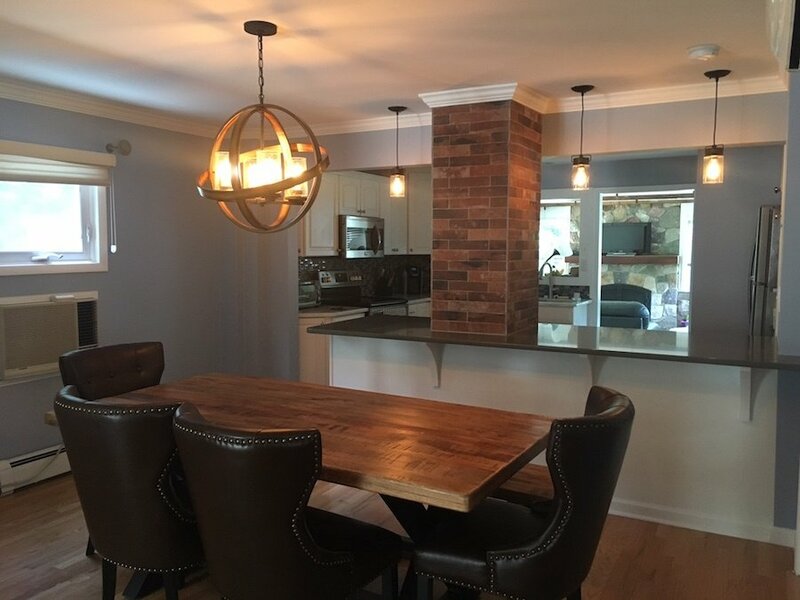 Kitchen and Dining Room Remodel Morristown- Our team opened up the space between this home's kitchen and dining room to create a more open floor plan. 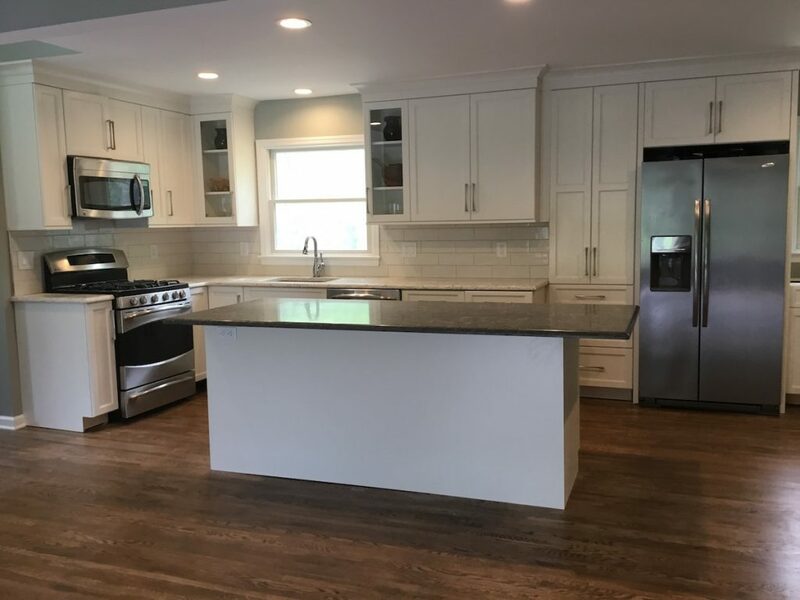 Monk's Completed this Kitchen Makeover in Chester NJ by Painting the Kitchen Cabinets, New Quartz Countertop and Tumbled Tile Backsplash. 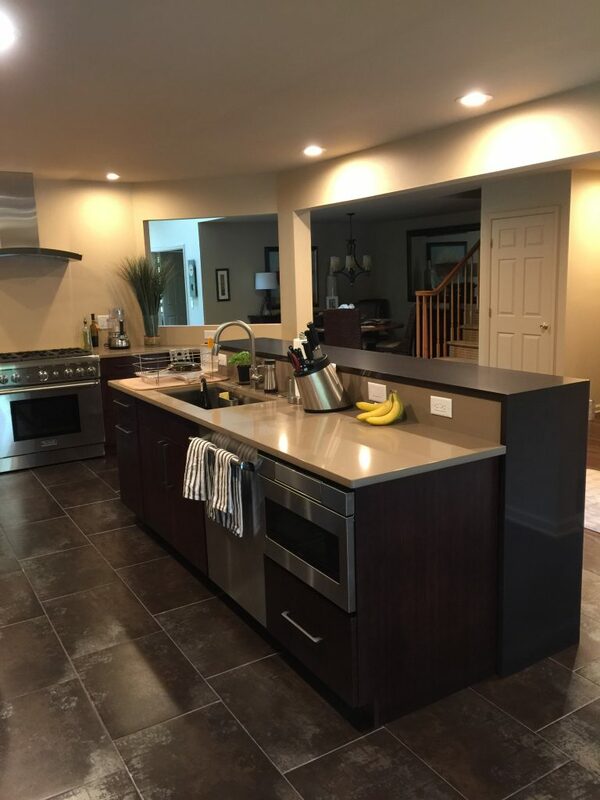 Monk's upgraded this home with a complete kitchen renovation. New countertops were installed, along with hardwood floors and a tile backsplash. 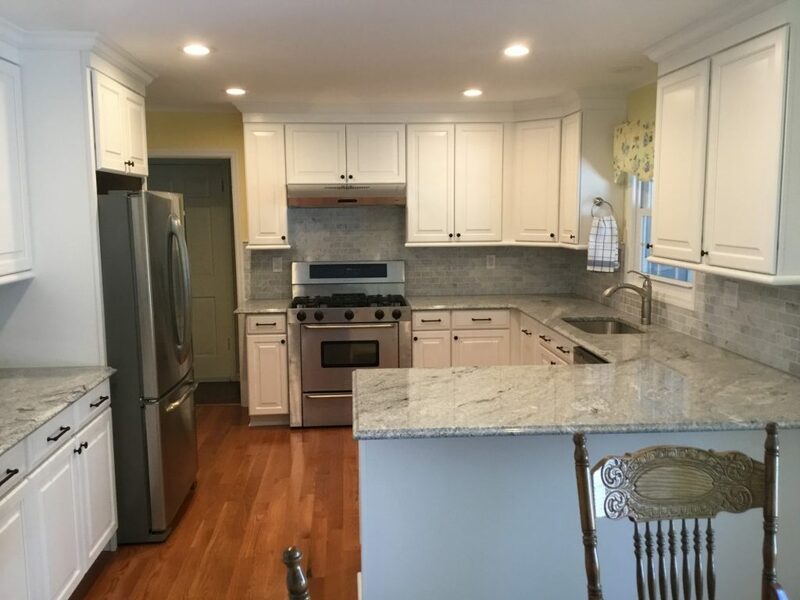 Monk's Home Improvements completely renovated this Madison, NJ kitchen with new cabinets, a new island, new hardwood flooring, and a new tile backsplash. Dark and dated to light and bright. 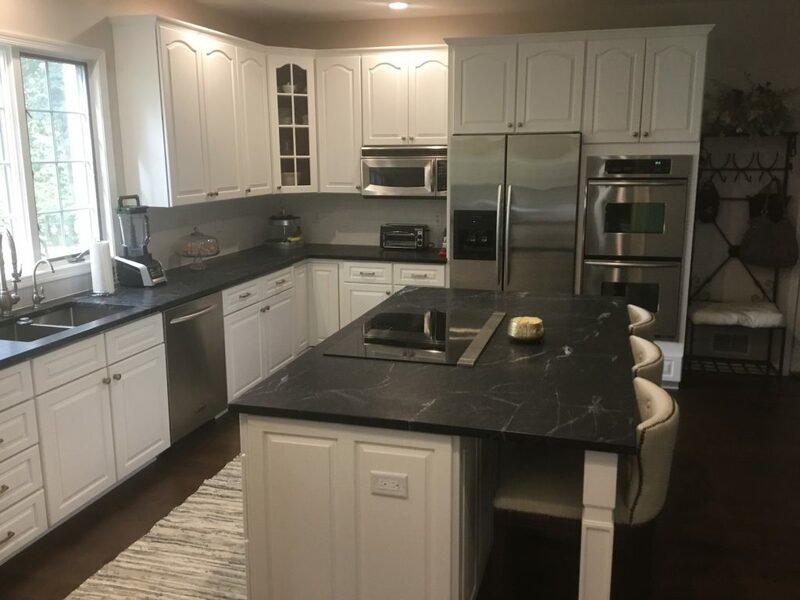 This home's kitchen was gutted and remodeled with new tile floors, countertops, and cabinets and espresso bar! Call 973-635-7900 to schedule your free appointments. You’ll be on your way to your dream kitchen.